It’s summer, and that means plenty of moving action in student housing. Turning over apartments and multi-room rental houses, summer moves home and new students moving in make it a busy time of year. With room and board fees increasing 6.5% each year, on top of skyrocketing tuition, many parents are looking for student rentals as on-campus housing alternatives. Students are often willing to pay top dollar, since living close to campus is highly desirable. Grad students and med students are often quiet, clean and too busy to make much of a mess. Students don’t typically break leases—they’re too busy during the school year to move. They are messy. They can be VERY messy. Zoning laws often preclude renting to more than a couple of unrelated individuals—be sure to check the laws in your area. Student rentals may require more repairs, repainting and other maintenance during and after the lease. Students like to party. Not all of them, certainly—but they can get a little crazy trying their new freedom on for size. Be sure your lease is ironclad and more detailed than you may think it needs to be. Consider higher maintenance and repair costs when establishing the rent and security deposit. Establish noise limits and inform students that neighbor complaints will be dealt with severely. Always have parents co-sign the lease: at least one parent for each student-tenant. Don’t allow anyone who is not on the lease to stay in the rental unit. Temporary visitors tend to turn into unscreened tenants. Student rentals can be lucrative, but do require a firm management style and frequent communication. Many landlords love renting to students and have no problems, especially when they are properly screened before the lease is signed. Despite the fact that the rental market is strong, times are still tight. Saving money is a necessity for many landlords today. One way to accomplish this goal is by maintaining and improving your rental properties in the most cost-efficient way. Landlords know that tenants don’t always leave rental units in the best condition. Keeping in mind that tenants can be hard on your rental property can guide your decisions when planning maintenance or improvements. Here are some ideas that can help your keep your rental properties in good shape—without breaking the bank. Visit recycled building materials stores for inexpensive cabinet pulls, hinges, switch plate covers and even light fixtures. Even dollar stores have a good selection of low-priced hardware. Install inexpensive window treatments, such as mini blinds. This requires an investment up front, but can save money in the long run because tenants won’t be drilling in to window frames and damaging the woodwork. And you won’t be puttying and repainting after each tenant. Check Craigslist.com for used or nearly-new appliances when you need to install replacements in your rental units. Fully functional dishwashers for $75, stoves for $100 or $150 refrigerators are typical deals you can find. While there are no warranties with used appliances, you can save money and keep an appliance out of the landfill at the same time. Use the same paint color in all of your units. Don’t be tempted to purchase an off color that’s on sale unless you plan to use it all up—and save enough for touch-ups. It might make better sense to use the same color so you always have the right match for covering scratches and chips. With these tips and some effort on your part, you can reduce the costs of maintaining and improving your rental properties! If you do not require your tenants to hold renter’s insurance policies, you may want to reconsider your policy. Renter’s insurance is a nice layer of protection for landlords. It covers losses or injuries suffered due to tenant’s negligence—for example, if they start a fire or flood the building by leaving a faucet on overnight. Renter’s insurance also covers injuries suffered by a visitor to your rental property due to a tenant’s negligence, too. So the visitor who trips over the tenant’s dog and breaks a wrist can collect from your tenant’s insurance company, rather than yours. Renter’s insurance can also protect the tenant’s belongings in case of fire or theft. 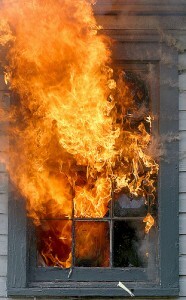 While your property insurance covers the building after a fire, tenants could be at a complete loss without insurance. Renter’s insurance helps them find temporary lodging and replace their clothing, furniture and other household goods. Since renter’s insurance is relatively inexpensive—only $15-$20 per month, on average—a renter’s insurance requirement automatically screens out potential tenants who have financial difficulties and cannot afford it. The tenant acknowledges that the landlord’s insurance does not cover the tenant’s possessions. That the landlord’s insurance does not prevent tenant liability due to the tenant’s actions or negligence. In case of fire, flood, theft and other acts of nature, the landlord is not responsible for the tenant’s losses. Therefore it is required that the tenant retains renter’s insurance coverage. Allowing the policy to lapse may subject the tenant to responsibility for losses suffered by others due to the tenant’s or their guests’ actions. Have your attorney provide you with an actual, legally binding provision, of course. Requiring renter’s insurance is an easy way to help landlords sleep a little better at night! Is it Time to Upgrade Your Rental Property? While the housing market is still troubled, the rental market is strong from coast to coast. With vacancies low, you might be thinking that you don’t need to do a thing to keep prospective tenants interested in your rental properties. 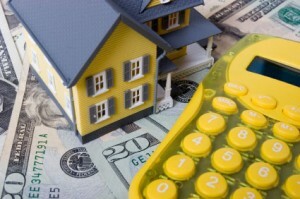 But being in the rental property business means generating as much rental income as possible. And if you can make your rental units more attractive to prospective tenants, you may be able to attract better tenants and make more income, too. In fact, upgrading your rental is not an expense—rather, it’s an investment that should earn you a return. Compare the cost of each upgrade with the corresponding possible increase of rent to determine whether it makes sense to do it. Kitchen: Replacing countertops and painting cabinets will change the entire look of the kitchen. If you’re pursuing a higher-end tenant, replace those old formica countertops with granite. And if the kitchen has tired old oak cabinets, give them a fresh coat of white paint and some new hardware: instant style! Bathroom: You can easily replace a worn-out vanity with a new one; add a new faucet, a new light fixture and a nice-looking sink—and the entire room changes. If the flooring has seen better days, large tiles are not very expensive; or, install a solid piece of marmoleum to make a big difference. Outdoors: Spruce up the patio area or add a small deck. Tenants love having space to relax outside. Invest in New Appliances: There’s nothing worse-looking to a prospective tenant than a dirty or worn out old stove, refrigerator or dishwasher. Look for a good deal on a package—or buy used. You can find great deals on nearly-new appliances on Craigslist. Closet Space: Find ways to add storage. Tenants love walk-in closets and built-in shelves. Easy-to-install closet systems are available at most hardware stores and they can completely change the look and functionality of every closet. If you want to attract higher-end tenants—and increase your rental income—these simple upgrades can be a quick and easy way to do it.